With golf, tennis, and water sports nearby, you’ll never be bored at West We Go. Swimming and snorkeling are a few steps from the back gate, and a wonderful staff is available to meet your every need. 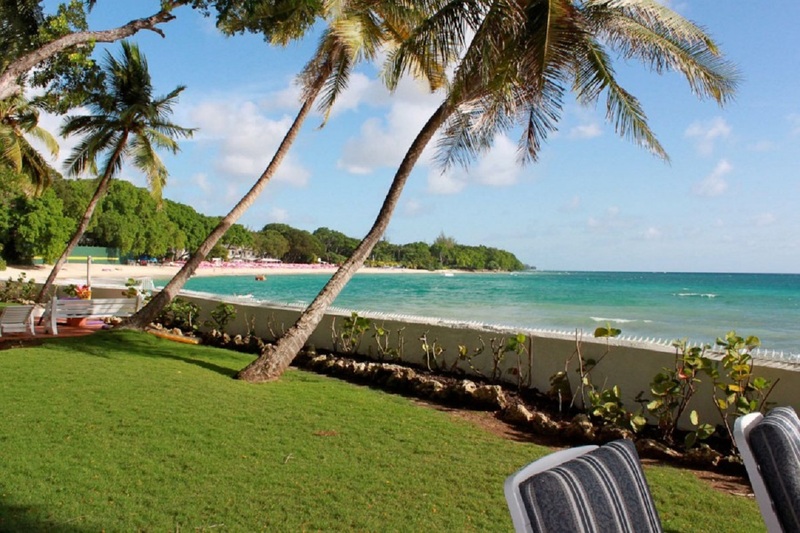 West We Go is located on Sandy Lane Beach and offers guests extensive gardens and beach frontage. With daily cook-prepared meals and housekeeping, this four-bedroom vacation rental is perfect for families that want to relax on the Platinum Coast. There are two sitting areas in the garden shaded by mature trees. Each has its own gate that opens to the beach for convenient swimming and snorkeling. A terra cotta path leads up to the screened sitting room, where guests can eat around the dining table, play cards at the coffee table, and listen to the waves crashing against the shore. This area opens to the Great Room via sliding glass doors. A dining table seats 8, a desk holds a library of books, and plush couches surround the entertainment system. West We Go’s kitchen is fully equipped, and the onsite cook will prepare three meals a day. The Main House has three air-conditioned suites, two of which share a bathroom. Two have king beds and one has two twins that can be made up as a king. The cottage is located in the garden and enjoys its own beach views, flatscreen TV, and king suite. Water sports and world-renowned golf are nearby at Sandy Lane Resort. Holetown is only seven minutes away, and has restaurants and shops that are worth a visit.